I’m very excited about this recipe, as I was addicted to Brazilian cheese bread called pão de queijo. Every time we would check into our hotel in São Paulo, it was served to us as a welcome snack. Today you can find this hearty cheese bread, which is originally from the southeast of Brazil, at every turn there. Today bakeries sell it as well as supermarkets at their cheese counter and many pubs and cafés serve cheese bread together with beer or coffee. In Brazil you can also get pão de queijo frozen or as a baking mix. I used to buy these baking mixes a lot, so that I could make them at home after returning. That was until I found out how easy it is to make cheese bread from scratch, using six very common ingredients. Tapioca as the seventh and exotic ingredient (at least where I live) is often used for baked goods in Brazil. It’s basically a starch, neutral in flavor, which remains as a byproduct whilst manufacturing cassava flour. With tapioca starch the cheese bread happens to be gluten free, but – containing cheese, milk and eggs – it obviously isn’t vegan. So instead, I’m using cooked potatoes for this recipe. Yap, potatoes. This brilliant idea wasn’t mine, though. 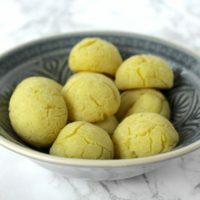 I found this wonderful recipe in Portuguese while I was looking for vegan pão de queijo recipes. Without further ado, I translated and adapted it to my taste, adding nutritional yeast and baking powder. 🇺🇸 This Brazilian “cheese” bread is made without any cheese or cheese alternatives but it’s just as tasty and addictive as the original. It’s also the perfect snack for New Year’s Eve! 🇩🇪 Diese brasilianischen “Käse”Bällchen sind ganz ohne Käse oder Käseersatz gemacht und dennoch genauso lecker und mindestens genauso süchtig machend wie das Original. Sie sind auch das perfekte Fingerfood für Silvester! Ok, I think that’s everything I needed to say. 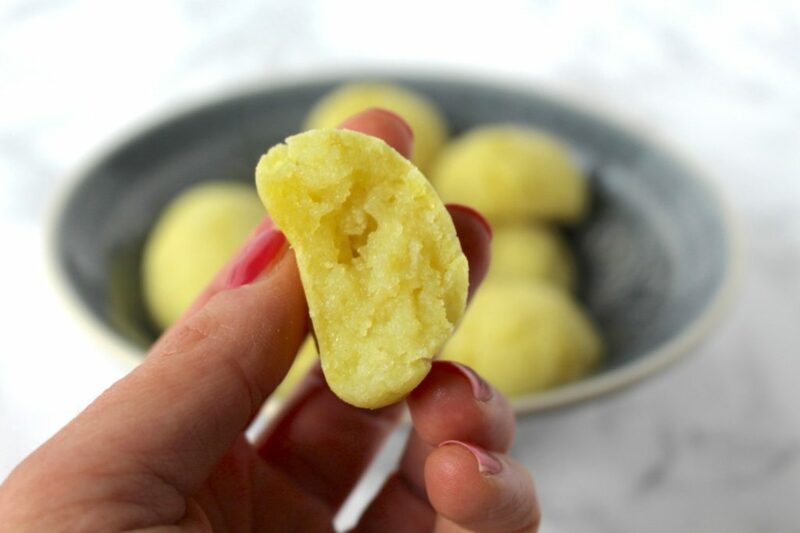 WARNING: Just like the original Brazilian cheese bread, these “cheese” balls are extremely addictive. This baked "cheese" bread tastes just like the Brazilian original (and is just addictive) even though it's made without any cheese or cheese alternative. Enjoy warm as a starter, side or snack with coffee, beer or wine. Formed into small balls, the cheese bread also freezes well. Cook or steam potatoes for about 20-30 minutes or until soft. Drain, rinse with cold water and let cool a little. Preheat the oven to 360° F.
Mash potatoes with a potato masher or fork. Combine all the other ingredients in another bowl and add to the potato mash. Knead dough well with your hands and form into small golf ball-sized balls. 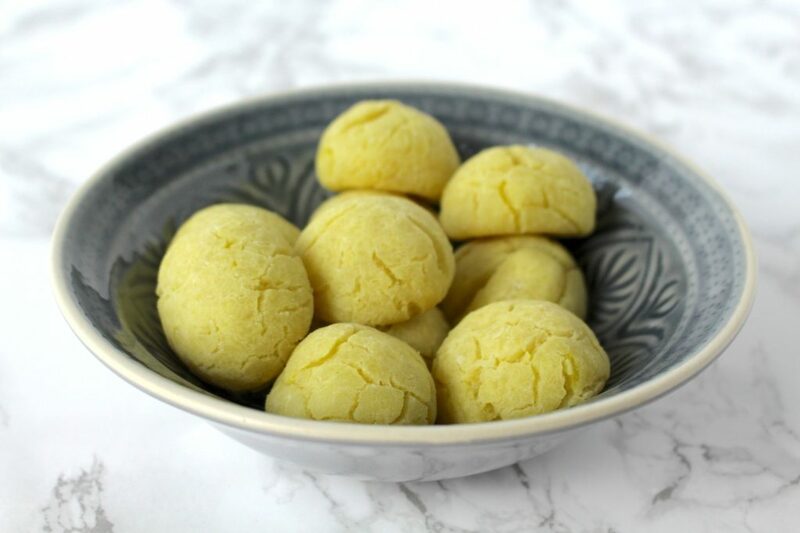 Place balls in a baking dish and bake for about 40-50 minutes or until golden brown. Once done, take out of the oven and let cool slightly before serving. Enjoy warm. While nutritional yeast isn't mandatory here, it gives it cheesy flavor. You could also freeze the (unbaked) cheese balls after forming them. Simply bake about an hour before serving. I hope you love this recipe – please let me know in the comment section below! If you make this vegan cheese bread, make sure to take a photo and share it on my Facebook page or on Instagram, using the hashtag #minamadefood. Oh and don’t forget to tag me (@thisisminamade) so that I can see your creations! Hi Mina! We just made these pao de queijos. They are fabulous! 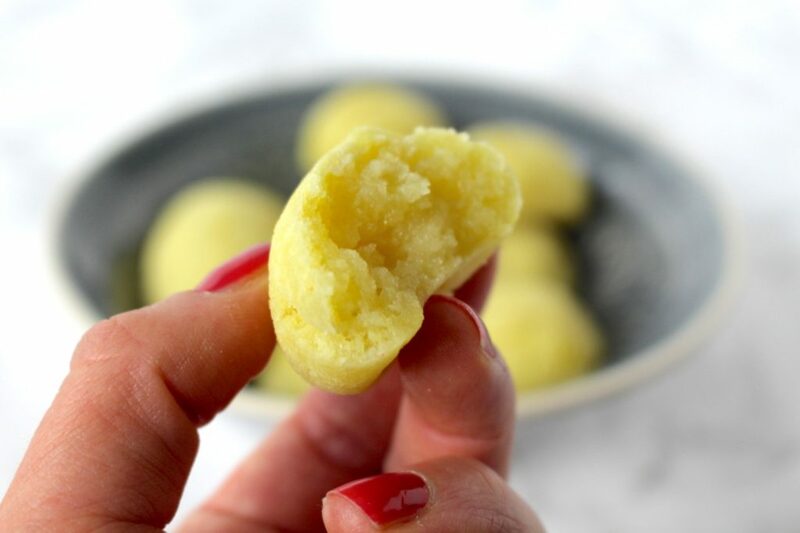 My daughter used to make the Paraguayan version, chipa, all the time so it was very easy for her to prepare your recipe, although we found the dough was a little dry so we added more oil and a bit more water. We have become vegans as of about a month ago and now we can have our chipa/pao de queijo once again. Thank you, thank you, thank you for this wonderful recipe. 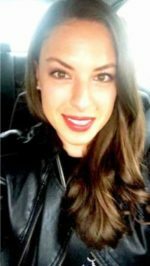 I will be checking out more of your recipes. Take care!